It seems like nowadays we’re being served so much music on a silver platter that we have a hard time dealing with anything that isn’t instantly accessible. The first time I listened to Delroy Edwards’ 3-volume, free download SLOWED DOWN FUNK mixtape series it didn’t meet my expectations, prompting me to dismiss it just a few minutes in. A few days ago however, I gave it another try, but stopped midway, actually questioning if my headphones were broken, when in fact they weren’t. The lanky L.A. native’s southern rap inspired output is just so insanely down to earth, so overwhelmingly lo-fi, you need to learn to get along with it, let it grow on you and try to wrap your head around it, before you can appreciate what’s going on. 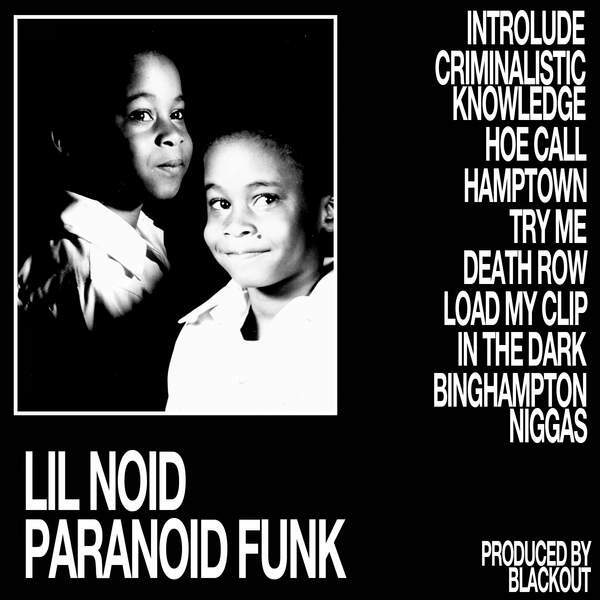 Discovered by Three 6 Mafia‘s Juicy J in the early 90’s, Lil’ Noid wrote and recorded this 9-track album 20 years ago as a teenager, documenting his life growing up on the streets of North Memphis. The Blackout-produced mixtape is a rarity and cult-worthy local production, a piece of southern rap history we may not have heard otherwise, simply because it was ahead of its time or lacked the right media outlet. Well now’s your chance. Stream it here or cop the vinyl via the label’s shop, alias Gene’s Liquor.